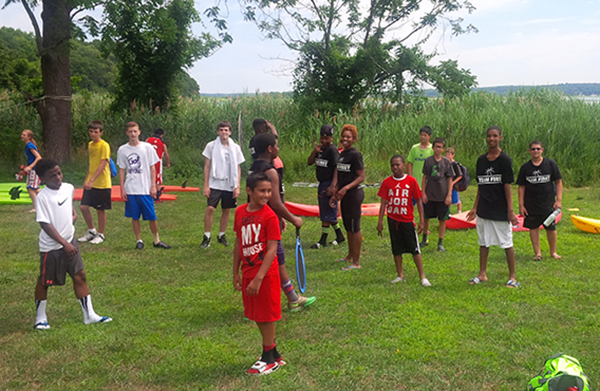 SGHY sponsored eight campers, four from each of our schools (MS 302 and MS 126), for a basketball sleepaway camp. Retired NBA and St. Johns basketball star Tyrone Grant and his Team First coaches provided intense basketball training. In addition, our inner-city kids — many for the first time – experienced boating, swimming, and interacted with nature at Knox Boarding School on Long Island’s North Shore, as well as making a bunch of new friends. Team First camp was a great opportunity for me. It is the first time I ever went to a sleep-away camp. I got to train with Tyrone Grant who was the captain of St. Johns University, also played for the Charlotte Hornets. The dorms and activity was amazing. I got to meet different types of people. I wish I can get another opportunity like this. 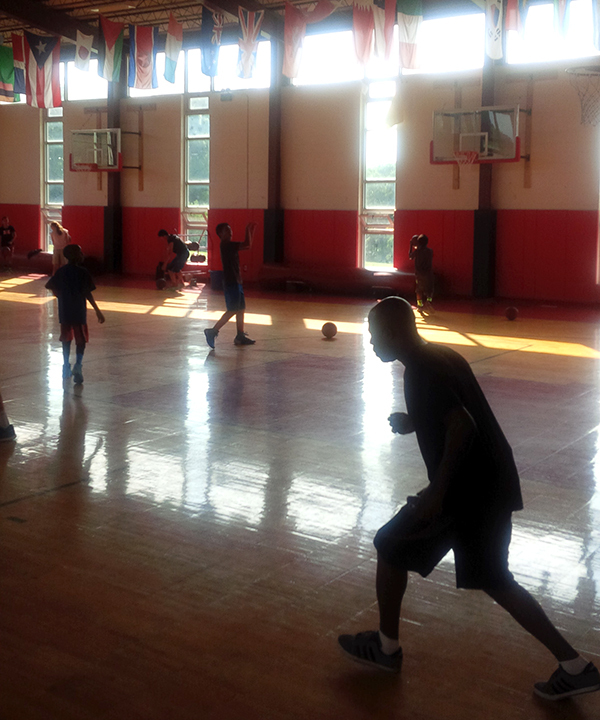 I was able to work with professional basketball coaches they helped me to get better with my basketball skills. The coaches also helped me with life skills. My favorite part of the camp was when everyone got to know each other and we all came from different places. I was able to go to the pool every day which is something I don’t get to do at home. Without your program I would not have been able to go to such an awesome camp. Thank you! On June 26, 2014, at my school, my gym teacher, Ms. Palmer told me about an overnight basketball camp at the Knox School. She told me the camp was free and that Sophie Gerson Healthy Youth was paying for me to go. I could not believe it! I told her that I wanted to go and she said okay. I got the papers signed as quickly as possible so nobody could take my spot. I was so excited that the night before I could not even sleep. I woke up with a lot of positive emotions. I was able to meet my coaches, Tyron Grant and David Williams. We stayed in dorm rooms which was really cool. The place was awesome — there was a gym, swimming pool and gamerooms. The food was excellent. Thank you so much for that — because I love to eat. I hope I can go back next year. I got to learn about the Team First concept of always putting team ahead of myself and I learned how to condition myself to be a better athlete. I worked on my handle and I developed my game so I can achieve my goal of playing in high school and college. Tagged Basketball, Healthy Youth, Knox Boarding School, MS 126, MS 302, Sophie Gerson, Sports, Summer Camp, Team First, Ty Grant.